Hasankeyf, which is under threat of being submerged because of the construction of Ilısu Dam on the Tigris River, is the only place in the world that meets nine out of 10 criteria to be included on the UNESCO World Heritage List, according to respected scientists who recently gathered in the town, one of the oldest and continually inhabited places on earth. “We have gathered reputable scientists to prove that Hasankeyf should be included on the UNESCO World Heritage List,” said Güven Eken, who heads the Nature Society (Doğa Derneği). In order to be included on the World Heritage List, sites must be of outstanding universal value and meet at least one out of 10 selection criteria. The Great Wall of China fulfills five criteria, while Egypt’s Memphis and its Necropolis -- the field of pyramids from Giza to Dahshur -- fulfill three and India’s Taj Mahal meets only one criterion. The Nature Society’s efforts together with Atlas magazine led to the gathering of about 60,000 signatures from people in Turkey including celebrities such as superstar singers Tarkan and Sezen Aksu and writers Yaşar Kemak and Orhan Pamuk. Their signatures in support of protecting Hasankeyf will be sent to Prime Minister Recep Tayyip Erdoğan, who will have to decide whether the Culture and Tourism Ministry will make an application to UNESCO. Representatives of the Nature Society, scientists and Tarkan met with Culture and Tourism Minister Ertuğrul Günay last April and introduced a report that explains in detail how Hasankeyf can be a candidate for the UNESCO World Heritage List. Criticizing the government’s decisions to construct dams on sites that are protected by law, Eken said as those “illegal” projects start to be built, locals and the civil society would challenge them in court. One promising decision was taken last week by the Council of State, which overturned previously given authority to the State Waterworks Authority (DSİ) in response to a court case filed by several civil society organizations. 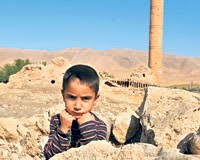 The decision also pleased the representatives of the Initiative to Keep Hasankeyf Alive. Recep Kavuş from the initiative said the Council of State’s ruling states that the DSİ cannot have authority over cultural values. The site was declared a natural conservation area in 1981. The initiative has also been struggling because there are many financial supporters for Ilısu Dam. Although they have had several campaigns demanding responses from the three Turkish banks that support the construction of the dam, they have not received a response, Kavuş said. Prime Minister Erdoğan said in February that the construction of the dam and a hydroelectric power plant on the site would continue. He also said the consortium that has undertaken the project had found necessary financing after a group of European credit agencies last July withdrew their financial support for the project, asserting that it did not meet environmental standards for preservation of cultural heritage, and relocation criteria for moving the villagers. Three Turkish banks, Akbank, Garanti and Halkbank, will provide $430 to $500 million toward the estimated $1.7 billion cost of the dam. Turkish officials say the 1,200 megawatt dam will help reduce the country’s reliance on energy imports and eventually bring in money from tourism and fishing. Ilısu Dam is part of Turkey’s Southeast Anatolia Project (GAP) -- an economic development program for the country’s poor southeastern corner. The $32 billion project will build more than 20 dams and 19 hydroelectric plants to boost irrigated agriculture in the arid region. Construction started in August 2006, and the dam will swallow up more than 80 villages and hamlets by the time of its planned completion in 2013. One other challenge to the construction of the dam has been going on since 2006 at the European Court of Human Rights (ECHR). The above story also describes in detail the ways in which Hasankeyf meets the UNESCO criteria to be considered a World Heritage site. In February, Prime Minister Erdogan again voiced support for plans to build the dam and a hydroelectric plant on the spot. With European backing for the project now out of the question, the government has turned to the Chinese to finance the project. See also this vivid description of Hasankeyf by Today's Zaman's Kursat Bayhan, which the prime minister has never visited. For more on Ilisu, see posts of Dec. 20 and July 26.